That’s the hopeful slogan of the Land Art Generator Initiative, or LAGI, which works to bring together the worlds of installation art and renewable energy infrastructure. 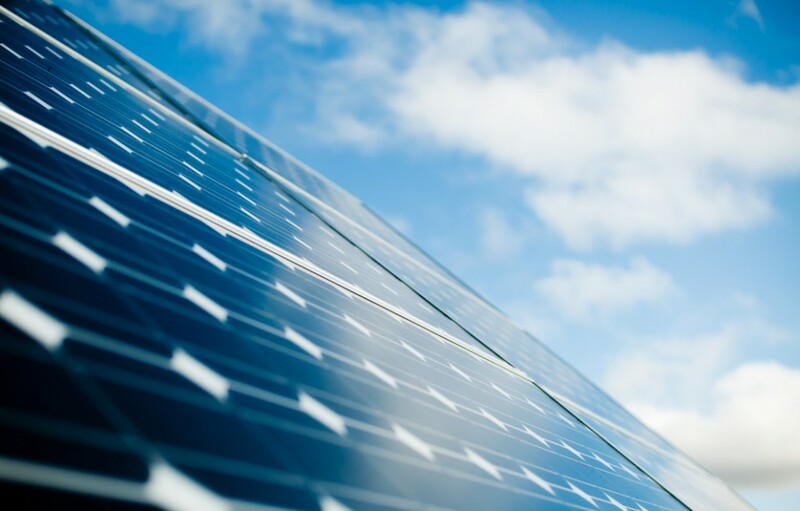 The general idea is, if we’re going to harvest renewable energy with machines and structures, they may as well be beautiful machines and structures. 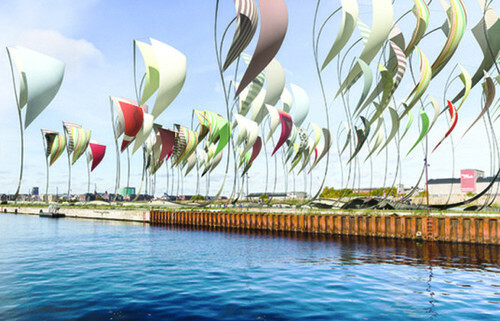 LAGI works with artists and municipalities worldwide to create permanent works of art that also distribute clean energy into the local electrical grid. Since 2010, LAGI has hosted an bi-annual design competition, inviting artists and engineers to submit proposals for a particular city or area. Previous competitions have been held in New York City and the United Arab Emirates. LAGI held this year’s competition in Copenhagen, Denmark, in partnership with the IT University of Copenhagen and several other local partners. 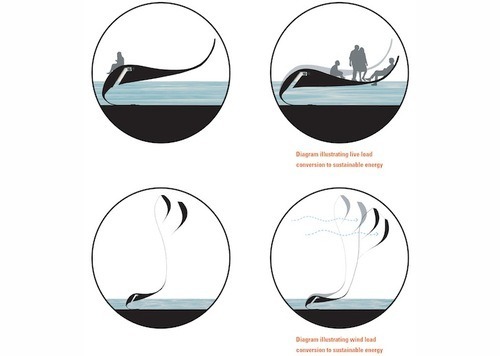 Interdisciplinary teams from around the world submitted ideas for public art installations designed to also provide utility-scale clean energy the the Copenhagen electrical grid. Among this year’s submissions is the innovative and rather lovely Oscillating Platforms project, pictured above, from artist Felix Cheong. Winners will be announced on October 3, 2014. Cheong’s proposal calls for a series of floating platforms anchored in such a way that they harness both wind and tidal power. Submerged columns capture the energy of changing water levels to move pressurized air through turbines, which in turn generate electricity. The platforms’ above-water sails, meanwhile, capture wind power. Even the movement of people walking on the platforms is turned into electrical energy. Check out the LAGI website for more concepts and images. Or you can track down the bookRegenerative Infrastructures, which details LAGI’s ongoing project — transforming New York City’s Freshkills Park into a radical urban design experiment of installation art and renewable energy. So cool.